Take care of your posters, kids! Thank you for visiting with us -- we hope you enjoy the time you spend here. Be sure to check out some of the links to our friends and colleagues. Enter your email address to subscribe to The Spy Command and receive notifications of new posts by email. 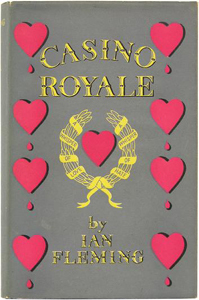 WILL, a public radio station in Illinois, had a James Bond discussion on April 11, in connection with the University of Illinois’s celebration of the 60th anniversary of Casino Royale’s publication. On hand were Michael VanBlaricum, president of the Ian Fleming Foundation, and John Cork, who has directed many of documentaries that accompany James Bond movie DVDs. To listen to the entire program, CLICK HERE. When that page comes up, go to the left. There are icons to either listen to the program or to download it. The Man From U.N.C.L.E. episode guide The definitive guide to The Man From U.N.C.L.E. I Expect You to Die! 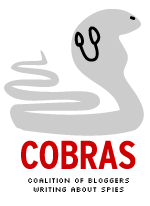 RSS feeds from our C.O.B.R.A.S. brethren. Spy Guys and Gals Exhaustive coverage of literary spy scene. A veritable encyclopedia of espionage!